Melt the butter in a saucepan. Stir in the flour and cook until frothy. Remove from the heat and stir in the milk a little at a time until the mixture is smooth before adding more. Return to the heat and cook, stirring constantly, until the mixture boils and thickens. Season with salt and pepper. Set aside. Crush and peel the garlic. Blanch the spinach in a saucepan of boiling water for 30 seconds. Drain well and squeeze out excess liquid. Chop roughly then mix with the ricotta, egg, Parmesan cheese, garlic and nutmeg. Stir in ½ cup of the Bechamel Sauce. Spread a thin layer of Bechamel Sauce over the base of an oiled 6 cup deep, ovenproof dish. Arrange the lasagne over the sauce then top with one third of the remaining sauce and half the spinach mixture. Repeat the layers, finishing with a layer of Bechamel Sauce. Sprinkle over the mozzarella and the extra Parmesan cheese. 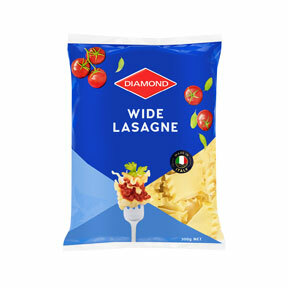 Bake at 180 degrees C for 30 – 40 minutes or until golden and the lasagne is cooked.